Craughwell Camogie Club is based in a small village in south Galway, Ireland. It was founded in 1986 by Michael Geoghegan, Carmel Gilligan and John Keane (RIP). We have approximately 257 members with growing numbers each year. Teams start at under six to Intermediates. We have won many various camogie titles over the years and brought silverware back into the club. 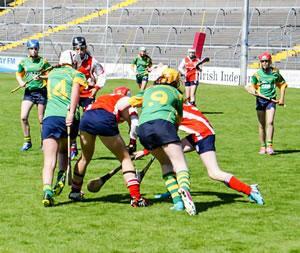 We have had many players from Craughwell Camogie Club competing at a county level since our club was established.